Mahindra's latest SUV is here. Apart from the price, which will be revealed on February 14, we pretty much know everything there is to know about the XUV300. Mahindra has been targeting the sub-4 metre segment for quite some time but have never been able to get the formula correct. 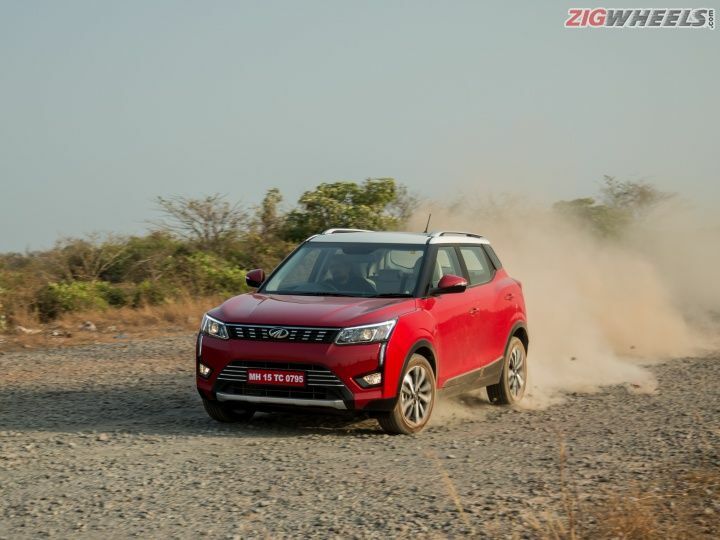 In fact, the XUV300 will be Mahindra's fifth attempt at carving out a considerable piece of the pie, which is currently being enjoyed by the Vitara Brezza, Tata Nexon and the Ford EcoSport. In order to do so, the Indian SUV maker has loaded the car with comfort, aesthetic and safety features, a lot of them segment-firsts. Also, it is being offered with both petrol and diesel engine options. With all of this in place, it's almost like Mahindra is raising the bar of the segment. Here is all you need to know about the Mahindra XUV300. At the front, the XUV300 has a unique LED DRL setup. The LEDs overline the top of the headlamps and then fall down all the way to the log lamps. This does make for an attractive setup at the night. The headlamps are projector units and along with the sleek grille, do look smart. The projector headlamps with DRLs are available in the W8 variants. Towards the side, you get 17-inch dual-tone diamond-cut alloy wheels in the top W8 (O) variant. The W8 gets 17-inch alloys and the W6 and W4 get 16-inch steel rims. The top variant also gets a sunroof and dual tone roof-rails. Also, the XUV300 is available in 6 body colours: Red, Orange, White, Black, Silver and Aqua. The taillamps too are LED and the XUV also gets a rear wiper and washer. It gets 180mm of ground clearance which should keep you pretty safe inside the city. Upholstery is a nice light-coloured leatherette which helps the cabin feel premium. The dashboard too is practical with additional storage space on the co-passenger side. Inside, the Mahindra XUV300 is loaded with features. For the driver's convenience, you get auto-dimming IRVM, tyre pressure monitoring system, 1 touch up-down power window for the driver, auto headlamps, 6-way adjustable driver seat, cruise control, steering-mounted controls and keyless entry. You get a 7-inch capacitive touchscreen which supports Android Auto and Apple CarPlay. This is connected to a 6-speaker sound system. The rear camera gets dynamic guidelines for easier parking. You also get dual-zone climate control, which was unheard of in this segment, and mood lighting for when you are in the mood... for some lighting. Where this portion is generally quite short for a car in this class, the XUV300 is raising the game. It gets segment-best 7 airbags, one more than the Ecosport. You further have ESP with hill hold, front and rear parking sensors and ABS with EBD. The Mahindra XUV300 is available with both a diesel and a petrol engine option. The diesel is the Marazzo's 1.5-litre unit mated to a 6-speed manual transmission. It produces 115PS of power at 3750rpm and 300Nm of peak torque at 1500-2500rpm. The petrol unit is a 1.2-litre turbocharged petrol engine which is also mated to a 6-speed manual. It produces 110PS of power at 5000rpm and 200Nm of torque at 2000-3500rpm. Claimed efficiency figures are not out yet, but we will soon be updating the testing figures. The Mahindra XUV300 is available 4 variants: W4, W6, W8 and the top of the line W8(O). We have driven the XUV500 and have the first drive review ready. Watch it right here. Very nice & good looking. Very nice & good looking.